Preheat the oven to 175 degrees Celsius. Line a 12 cup muffin pan with cupcake liners and set aside. Add water and milk to a microwave-safe bowl. Heat in 10-second intervals until just warm. Add wet ingredients to dry ingredients. Whisk until incorporated. Pour batter into prepared muffin pan filling each cup about ¾ of the way. Bake for 16 - 20 minutes. Place muffin pan on a cooling rack to cool for 30 minutes. Remove muffins from pan and continue cooling on a rack until completely cooled. 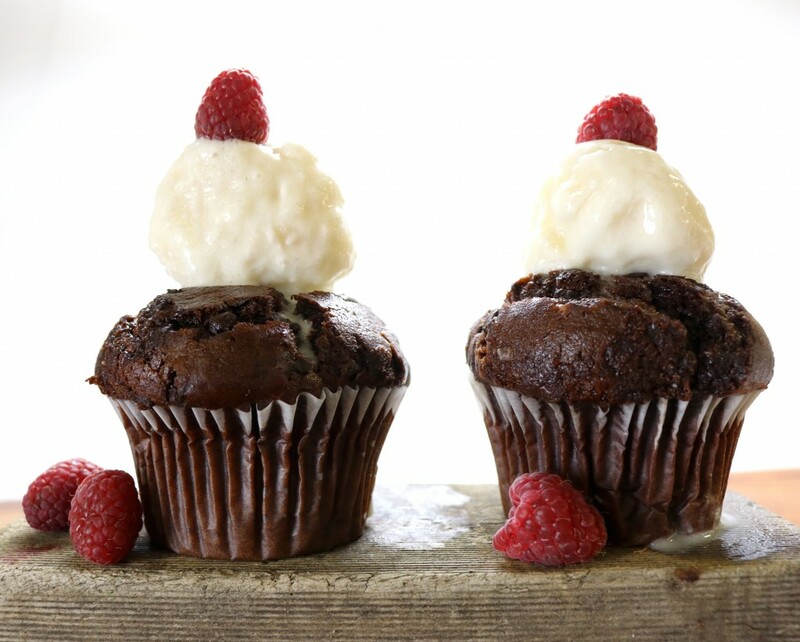 Serve with your favourite scoop of Cocofrio ice cream and raspberries.